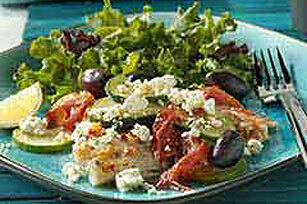 You'll have a Mediterranean-inspired dinner for two ready in a flash when you cook the fish in the microwave. How easy is that? Prepare using any mild-flavored white fish, such as haddock, sole, whitefish or halibut.